Dunster Station is about one mile from the picture postcard village of Dunster, with its Castle perched high above the main street. The Station was first opened in 1874 when the Railway was extended to the town from Watchet. 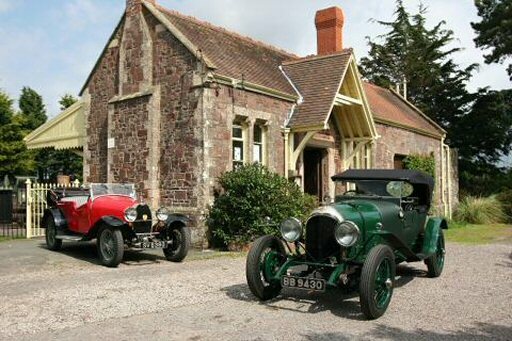 Being the local station for the family living in the nearby Dunster Castle, the main building is finished to a very grand style and is now Grade II Listed, as is the adjacent goods shed. The main building has been superbly restored, and also houses the Railway's ticket printing department. Not only tickets for the Railway are printed on the old Edmondson Press, but for many other heritage lines. The goods shed, recently restored, and the adjacent yard, is home to the Railway's Permanent Way department.